Today, Gfk revealed some sales data for the video game market in the United Kingdom, starting with the total number of games sold: 23.7 millions. That’s almost the same as last year, when 23.8 million games were sold. In other words, sales were flat, with a 0.4% drop Year on Year. As far as revenue is concerned, games generated more money this year, due to the increase in game pricing (partially due to the Nintendo Switch, “replacing” cheaper Nintendo 3DS games). Sales of physical games generated £792 million in 2017: that’s a 2.1% increase Year on Year. Gfk reports that FIFA 2018 sales are down by 16.2%, but that’s not including digital sales (which account for an even bigger share of sales this year). We unfortunately do not have any data for the Nintendo Switch version of the game. As for Nintendo specifically, Gfk reveals that Super Mario Odyssey, Mario Kart 8 Deluxe, and The Legend of Zelda: Breath of the Wild all sold over 300 000 units in the UK so far. 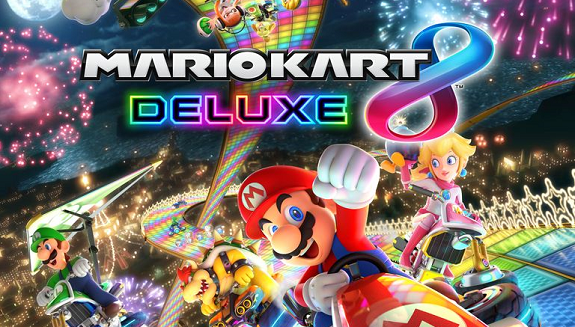 Mario Kart 8 Deluxe is actually the best-selling game on Nintendo Switch, but Super Mario Odyssey isn’t far behind. 1-2-Switch and Splatoon 2 are also in the Top 5 of the most successful Nintendo Switch games in the United Kingdom, but we don’t have any sales data for those (just that the former outsold the latter). Finally, Mario + Rabbids Kingdom Battle missed the Top 5 by about 150 units. Speaking of video games sales in the United Kindom, it was announced recently that digital data would be counted from 2019. To be more precise, game publishers and developers have agreed to share digital download data for the United Kingdom. Unfortunately, we don’t know if all publishers/developers agreed, and if not, who didn’t. In the United States, for example, Nintendo is not sharing any digital data with the NPD. From 2019, the Interactive Software Federation of Europe and B2Boost will share download charts. That digital data will then be combined with physical sales data, allowing us to get a more accurate picture of the video game market in the United Kingdom. This will all be made possible by the Entertainment Retailers Association ending its exclusive agreement with Gfk regarding retail games data, taking effect from January 2019. The UK have have the worst taste in games! Fifa, an EA game, and 1-2 Switch, REALLY? !